44 affordable rental apartments with podium parking. The unit mix will consist mostly of studio and one-bedroom units with some two- and three- bedroom units mixed in. The overall project will be four stories at its highest point, with three stories of housing above one level of enclosed on-grade parking. The apartments will feature luxury amenities including: an outdoor rooftop patio and sundeck: bike storage and a resident lounge will also be open to residents. All apartments will feature granite countertops, stainless steel modern appliances, quality flooring, and in-unit washers and dryers. Security cameras, DirecTV distribution system, and controlled access will complete the low voltage scope. The target rental market will be professional individuals and couples that enjoy close proximity to Sloan’s Lake and the shops and restaurants of the Highlands. Pullman Lofts will be among the first transit-orientated housing projects adjacent to the Sonoma-Marin Area Rail Transit station in Railroad Square. Featuring 72 one and two-bedroom units will range from 700 to 1,000 square feet. Two three-story buildings connected by walkways over 73 parking spaces. The complex will have a pool and recreation area. The project plans to preserve the former Law Yeager lumber office at the intersection of Eighth and Wilson streets. It was built in 1947, and a consultant has deemed it an architecturally significant building. The one-story building likely will be turned into a co-op office space. Construction is anticipated to begin early 2018. 21 one-bedroom and 44 two-bedroom units. Recently acquired and in the process of rehabilitation, with plans to keep rents affordable for local workforce in Waite Park, Minnesota. An affordable housing development to meet the needs of Sonoma County’s changing farmworker population. 30 two-bedroom, 1.5-bath rental units. Amenities including: community building, children play facilities, classrooms for adult learning and after school care, raised-bed gardens for tenants, picnic and grill area. Phoenix is the developer with two nonprofit partners, California Human Development (CHD) and Integrity Housing. The project is complete and fully occupied. 42 affordable family housing units on the Midtown Greenway (Bloomington Avenue intersection) in the East Philips neighborhood of Minneapolis, MN. The unit mix for the project is 2, 3 and 4-bedroom units (unheard of in the Minneapolis-St. Paul Metro). Phoenix is the Developer. Our partner is the nonprofit PRG, Inc.
Greenway Heights received funding from eleven sources, including $1,050,000 from the City of Minneapolis in AHTF, and $1,260,000 from MHFA in deferred loans. Total project cost is $9,120,000. 198 luxury market rate units on the Midtown Greenway (Bryant Ave intersection) in Uptown Minneapolis, MN. Phoenix co-developed the project with RMF Group. Total project value of $47,500,000. 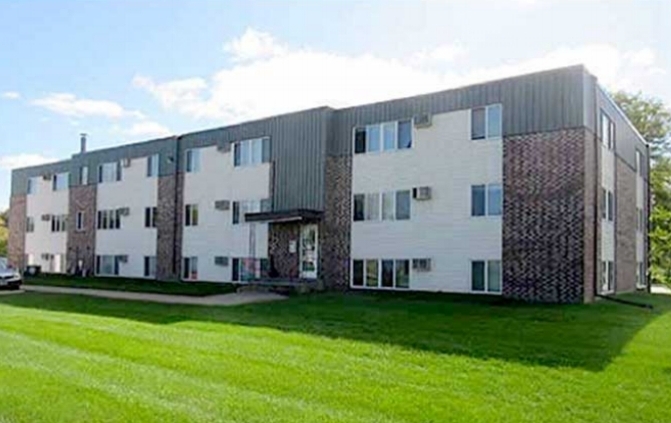 To date, BB Housing has partnered with the City of St. Paul, MN to rehabilitate and rent eighteen multi-unit properties, with a 100% success rate. Together, Loren and his partner Michael Buelow have worked hand-in-hand with public officials to develop an innovative model for putting HUD / NSP funds to their best possible use, transforming dilapidated REO properties into quality affordable rental housing units. The Battered Women’s shelter was funded by an agency forgivable first mortgage.